The National Electrification Administration (NEA) is taking over the Palawan Electric Cooperative (PALECO), a move it described in a news bulletin Friday as intervening in the management and operations of the “beleaguered” power cooperative. Based on a Bombo Radyo Philippines news online, Lalas figured in the news in Naga City in August this year due to calls for him to be kicked out as general manager of the Camarines Sur Electric Cooperative (CASURECO-2). The online article quoted Naga City councilor Joselito Del Rosario in saying Lalas failed to implement a number of CASURECO-2 projects on time. Masongsong said NEA’s intervention is pursuant to Section 4 (e) and (j) of Presidential Decree No. 269 as amended by Section 5 of Republic Act 10531 or the “National Electrification Administration Reform Act of 2013″. “In the exigency of the service and pursuant to Sections 4 (e) and (j) of Presidential Decree No. 269 as amended by Section 5 of R.A. 10531, Engr. Lalas is hereby designated as Project Supervisor/Acting General Manager of Palawan Electric Cooperative (Paleco) effective immediately,” Masongsong’s NEA office order stated. The NEA news bulletin pointed out that Lalas’ designation “will cease upon the appointment of a regular general manager,” which is also subject to its confirmation. Earlier, the PALECO said three applicants are vying to be hired to do the job. They are Cesar Joseph R. Baloloy, Engr. Alladin P. Cruz and Gonzalo G. Ong, Jr. The three candidates are said to be undergoing a selection process now for the position. Currently, PALECO’s officer-in-charge general manager is Napoleon Cortez. He has also been mandated “to approve or disapprove Board resolutions” in consultation with concerned departments in the state-run agency. Lalas’ authority will include signing and countersigning checks, withdrawal slips, and other banking transactions, and perform other tasks that he may be assigned for operational efficiency. A month ago, President Rodrigo Duterte gave PALECO and local government officials in Palawan an ultimatum to get power services better before the end of 2018 or he will bring in a private power producer to resolve the frequent blackouts. In the NEA news, Masongsong was said to have informed the Senate regarding the update on December 13 during the deliberation of its budget. Sen. Sherwin Gatchalian, energy committee chairman of the Senate, said the NEA should take over right away to resolve issues in the power service that have been hounding the member-consumer-owners of PALECO. 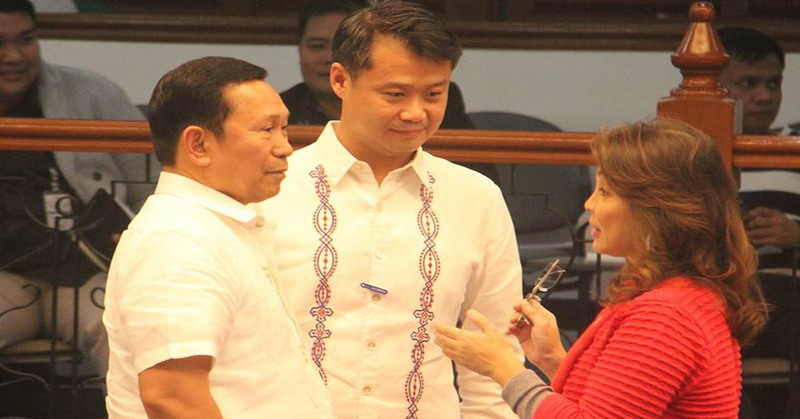 “The temporary solution is for NEA to take over right away, fix the governance problem, release it from capture, contract an independent power producer that will deliver the necessary supply and then, later on, think about whether to offer it to the private sector or not,” Gatchalian was quoted to have said during the budget deliberation. Masongsong further said in their news bulletin that the NEA will exercise its “inherent jurisdiction over PALECO” as it has the technical competence to make problematic power situations favorable. “Despite its status as an electric cooperative registered with the Cooperative Development Authority, the NEA will not stand idly by. We will exercise the agency’s inherent jurisdiction over Paleco as it has the technical capability to turn things around in Palawan and for Palawan member consumer owners,” according to Masongsong. The NEA has the supervisory powers over 121 electric cooperatives (ECs) nationwide as mandated under R.A. 10531. Paleco is the lone power distributor of Puerto Princesa City and 18 municipalities, serving 137,277 consumers or 57 percent of the 240,700 potential connections as of June 2018.